SFO Commitment Checklist Who are the Secular Franciscans? 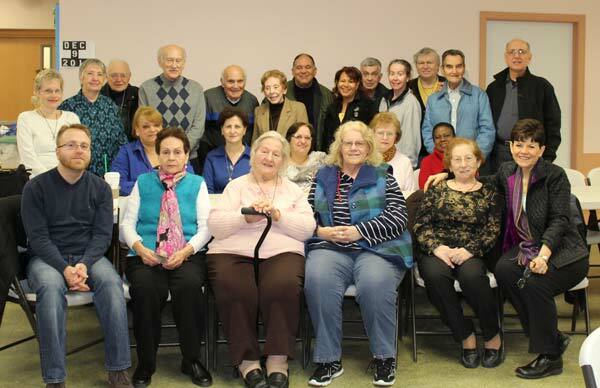 St. Francis Fraternity meets at St. Francis Parish, 50 Lodi Street, Hackensack, NJ on the second Thursday of each month at 7:30 PM in the Church Hall. Each month we join as a Secular Franciscan fraternity in a form of Liturgical Prayer--either Mass or the Liturgy of the Hours. We have talks and programs presented by our members, our Spiritual Assistant and various guest speakers. Our Apostolates include collecting hats, scarves and gloves for the homeless in winter, a Baby Shower for Birth Right in the Spring and collecting school supplies for the Southwest Missions in the summer and fall. We also contribute to the St. Francis Food Pantry. Our fraternity sponsors the Apostolate of Prayer for all intentions submitted and the prayer "Rebuild My Church" to inspire those who have left the church to return. Our fraternity was founded in 1926 as an Italian-speaking fraternity with the first three professions taking place in April of 1927. The Capuchin Franciscan Friars of Stigmata Province have always served as our Spiritual Assistants. Today, we are a diverse community: young and old; women and men; English, Italian and Spanish-speaking. 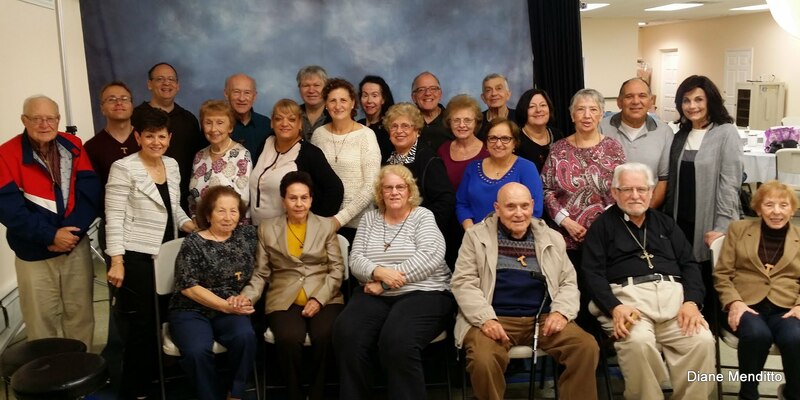 St. Francis Fraternity is a group of professed Secular Franciscans of varied ethnic heritage, who are part of our Lady of the Angels Region of the Secular Franciscan Order. 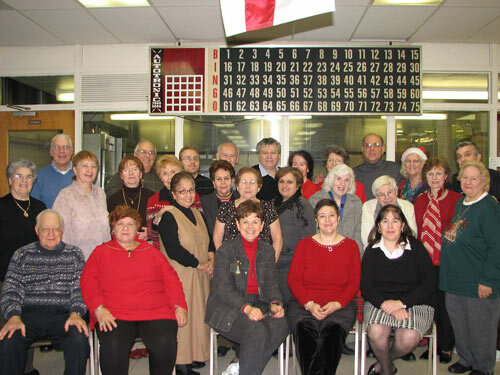 Our members come from many parishes in Bergen and Passaic Counties. We seek to build community among fraternity members, along with the entire Franciscan family, in our home and work situations, in our service to the Roman Catholic Church, and in the public arena. We strive to promote a life of prayer and simplicity, peace and justice, and respect for all creation. Members pledge themselves "through their baptism and profession to proclaim the 'good news' by their life and words", going from "gospel to life and life to gospel" With the help ofÂ St. Francis of Assisi, our titular patron, we nourish our members, providing direction and resources for their understanding of our Rule, our Constitutions, our National Statutes, and our Regional Guidelines. print out the actual Cord easily. Please contact Diane with any problems! Click on the icon below to download the FREE reader. Click on the arrow and choose the issue you wish to see. Click on the arrow to refer to a previous prayer list. Choose from the menu and click GO. St. Juan DiegoSt. ClareSanta ChiaraSt. Padre PioStigmataSt. FrancisSan FrancescoJosemaría Escriva de BalaguerThe Mysteries of LightI Misteri della LuceFrancis and GreccioFrancesco e GreccioQuotes for MeditationThe Tau (English)Il Tau (Italiano)Stations of the CrossAlways EasterThe Open WindowMedjugorje Official Site EnglishMedjugorje Official Site ItalianMedjugorje Official Site SpanishAll Kinds of Information on St. AnthonyIn ItalianoEn españolFraternityAssumption CustomsFraternity OfficesProfessionMother TeresaAdvent: A Season of PreparationAuthority: The Wolf of GubbioAuthority: Commitment in the SFOCommunication in the FraternityBeacons of LightThe Franciscan CrownFrancis and MaryThe Gospel LifeThe Rite of AdmissionCommitment Lectio Divina The "O Antiphons" "Discernment" "A Lenten Reflection" "Becoming a Secular Franciscan" "The Eucharist" "The Franciscan Story" "The Beatitudes" "The Beatitudes" "SFO Profession" "The Canticle of the Creatures" "Regional Councils" "After Christmas" "Blessed are Those Who Mourn" "Lenten Patterns" "Praying the Scriptures" "Fraternity Elections" "Fraternity Elections--More Information" "Election Procedures" "Astronomy, Astrology & the Church" "Novena for Darfur" "Indulgences" "The Little Flowers" "Mini Retreat for Advent" "Epiphany Meditation" "Lent" "Lenten Meditation" "Visitation" "Documents of the Order" "Gospel to Life in Our Rule" "Rebuild My Church in Our Rule" "Article 5: Our Eucharistic Life" "Our Lady of Lourdes" "Articel 7 of Our Rule: Conversion" "Article 8 of Our Rule: Our Prayer Life" "The Crib to the Cross" "Fraternity Elections" "Be Careful What You Pray For"
Links to local parishes and other interesting sites. You may send prayer intentions or questions to this address. October 4, 2007 New Counter installed.